Size : 17.7 x 19.1 mm. Weight : 3.32 grams. Grade : gVF with minor weakness on the reverse. 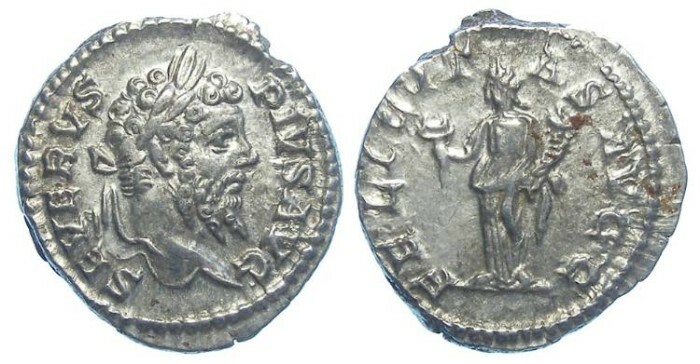 Obverse : Head of Severus right, with SEVERVS PIVS AVG around. Reverse : Felicitas standing left holding a Caduceus and cornucopiae, with FELICITAS AVGG around.